Is Guest Posting Right for Your Business? Website Planet > Blog > General > Is Guest Posting Right for Your Business? Even though guest blogging has been called a powerful link-building technique with the ability to increase traffic and conversions, there has been some talk about whether it could actually do more harm than good. According to HubSpot, more than half (55%) of digital marketers claim that blog post creation is their top priority when it comes to inbound marketing, as it doesn’t just drive clicks, but can also increase sales. Read on to determine whether or not guest posting should be a top focus when it comes to your content development. There are several ways that guest posting can be a serious boost for business. It Improves Your SEO Score: If Google’s algorithm notices your website link on high-authority websites, it’s naturally going to assume that your website is also super credible. A multitude of valuable backlinks to your website dispersed across the internet increases your Domain Authority (DA) and gives you what’s called “link juice,” which can boost your ranking on Search Engine Results Pages (SERP). It Demonstrates Your Expertise: Sure, a backlink to your website is important, but if that’s your sole aim then guest posting won’t help you in the long run; rather, the primary objective should be to educate and provide value to a relevant audience. After all, there’s no point in contributing a high-quality blog post to a low-quality or irrelevant website. 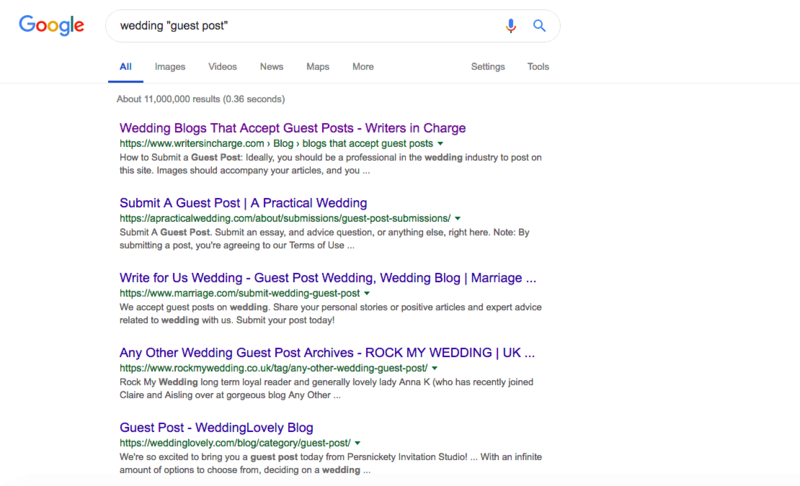 It Creates a Buzz: If you’re a new business, guest posting can help get the word out about your products and services, especially if you propose interesting content to well-known bloggers, influencers, and publications in your industry. It’s all about networking to achieve optimum word of mouth, which can then have a positive effect on your business by naturally growing your audience and reputation over time. Ultimately, if you can drive further traffic to your website through guest posting on highly-regarded, high-traffic websites, you increase the likelihood of converting more readers into customers. Not all guest posting opportunities are created equal; sometimes, they can actually do more harm than good. No Editorial Control: Even if you deliver the best possible blog post with a high-quality backlink, there’s nothing stopping the website owner from removing or changing your content in the future without your consent. Similarly, the owner might decide to stuff your content with keywords, which Google doesn’t favor. Waste of Time and Effort: Developing high-quality content takes considerable time and energy. By developing guest posts, you are taking away resources that could be spent toward strengthening your own web content. And a backlink that directs traffic to a site that can’t sustain interest is hardly worth the trouble. It Can Look Spammy: If you are going to guest post, then it needs to be done well, or you should forego it entirely. Content that is too short, unoriginal, or poorly written will not be well received by potential audiences, may be flagged by search engines, and could negatively impact your reputation in the long run. Always remember that quality over quantity reigns supreme when it comes to guest blogging. It’s better to post on one well-known, high-quality website than multiple low-quality websites, which only comes across as spammy in Google’s eyes. In summary, guest posting can have many benefits for your business when done correctly. As well as providing you with a valuable backlink to boost your link juice and search engine rankings, it can also drive traffic to your website and increase your revenue. Does the website reach your audience? Does the post offer tremendous value to the reader? Does the post demonstrate authority in your field? Is the content creative and original, offering a unique perspective? Is the content perfect and professional in terms of grammar, spelling, etc.? Does your backlink direct the reader to high quality, valuable content on your own website? Finally, Forbes claims that it’s imperative that you aim to write for new readers who have never “met” you, and not produce fluff content just so that you can insert a backlink. If you take this advice, you will also create buzz around your business and build brand recognition, which can effectively establish you as an expert in your field.